Verbier is the ideal venue if you love the beautiful life. Verbier offers first-class skiing opportunities in one of Europe’s largest ski areas in combination nice hotels, shopping, night clubs and much more. 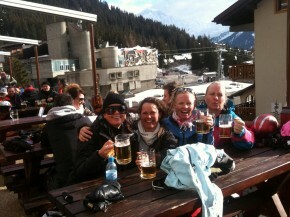 It is the premier choice if you want to combine fantastic skiing with relaxed evenings. The off-piste skiing in Verbier is famous. The village is situated at a altitude of 1500 meters. It´s truly genuine and cozy, with a warm welcoming feeling. It also has a rich culture and historic heritage. The distances are in general small and the ski lifts are easily accessible from almost everywhere in the village. You´ll find fantastic shopping, great restaurants and many good places for some fun after a day on the mountain. Verbier is located in the municipality of Bagnes, in the Swiss canton of Valais. 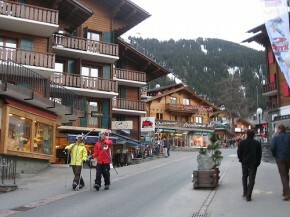 Verbier has little over 2700 permanent residents. The number of residents can rise to 35,000 in the winter season. Verbier is without a doubt one of the most popular ski resorts in Europe and for good reasons. The Ski System consists of four large valleys, Verbier, Veysonnaz, Thyon, and La Tzoumaz, with the highest ski altitude, the Mont Fort glacier, reaching 3300 meters. All together Verbier has over 400 km of groomed slopes offering challenges for beginners as well as intermediates and professionals. The area is serviced by over 40 ski lifts. You can read more about skiing in Verbier here. Throughout the whole ski area you find huge off-piste opportunities, but you’ll be amazed to see how fast it will disappear so be prepared for early mornings. Verbier is renowned for its off-piste and ‘semi’ off-piste opportunities. The off-piste is easily accessible, though best suited for intermediate skiers and professionals. The ‘semi’ off-piste itineraries include Vallon D’Arby, Tortin, Gentianes, Mont Fort, Mont Gelé and other notable off-piste runs such as, Stairway to Heaven, Rock Garden, Col de Mines, Fontanet and Creblet. Verbier is one of only a few resorts to have a mountain that has no pistes coming down it, Mt Gélé. You find driving instructions here. Geneva-Cointrin or Zürich-Kloten intercontinental airport are the closest airports. Charter connection during the winter season and for private flights are available from the Sion airport. There are regular train connections from the airports to Verbier (see www.cff.ch ). Take the Simplon line to Martigny, and then take the Martigny-Le Châble line. Follow the link to plan and book your train tickets (see www.cff.ch). 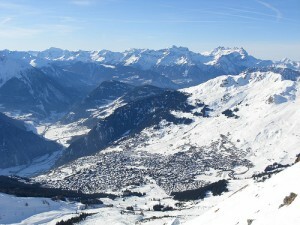 View of Verbier from the top of the ski area. Relaxing on a mountain top in Verbier. 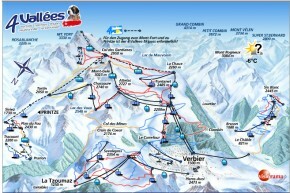 Verbier is part of the "4 Vallées" ski area. Verbier offers excellent off-piste skiing. Sharing a beer at lunch.